Do you want a fashionable clog, that can also be used for gardening? 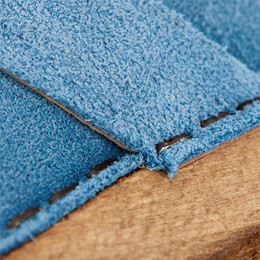 Sanita Hedi is an open clog made in natural colors and materials, which gives the user an urban feeling in a natural product. 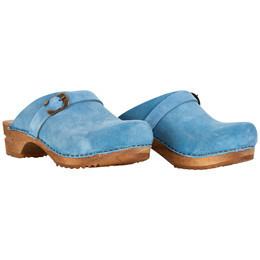 Sanita Hedi is made of light blue quality suede which creates a good breathability for your feet. 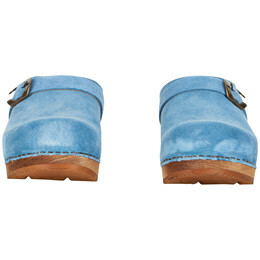 The suede is clamped on a wooden sole made of lime tree and styled with a buckle. The keywords of this product are fashionale, comfort and quality.